This study reports the preparation and characterization of nanocrystalline spinel powder of cubic copper ferrite nanoparticles (NPs) which have been fabricated via a cost-effective citrate sol–gel approach. The structural and morphological properties of the nanoparticles are analyzed by X-ray diffraction (XRD), Fourier transform spectroscopy (FT-IR), and scanning electron microscopy (SEM) whereas magnetic properties and Mössbauer analysis were performed using vibrating sample magnetometer (VSM) and Mössbauer spectra, respectively, and were characterized in detail. 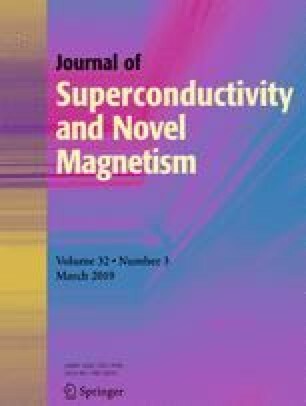 The empirical aim of this study is to perceive the transition phase of CuFe2O4 as cubic symmetry which was confirmed by SEM images, and a couple of studies reported on the cubic structure of copper ferrite and discussed the magnetic properties. However, the present study gives the detailed information of the formation of cubic structure and magnetic behavior of the CuFe2O4 cubic structure. X-ray diffraction measurements of resulting NPs show that the grain size of the particles is about 42.08 nm while SEM analysis showed that the particles have cubic nanostructured shapes with non-homogeneous sizes in around 80–100 nm. From 57Fe, Mössbauer parameters consist of one superparamagnetic doublet and superposition of four sextets. VSM result shows the enhanced superparamagnetic nature of the CuFe2O4 NPs. The Deanship of Scientific Research (DSR) and Institute for Research and Medical Consultations (IRMC) of Imam Abdulrahman Bin Faisal University are highly acknowledged for providing the financial assistance for this study (project application number: 2017-605-IRMC).